I’ve actually never made it but I plan to attend this year! Here are the details. This year, StylinOnline.com is bringing more than their “Tower of T-shirts” to the Baltimore Comic-Con — they’re sponsoring the highly-demanded and hugely popular Annual Costume Contest, expanding on the number and range of prizes and awards to participants. The Baltimore Comic-Con Costume Contest is one of the most popular events at the show, attracting fans from far and wide who come to dress up as their favorite characters, show off their hard work in creating fantastic-looking costumes, or to observe and/or photograph costumed attendees — just look at our Facebook photos sections to see where the volume of photos are! New to this year’s costume contest is our MC, Joe Bronzi. Joe is a Long Island comedian, working professionally for 15 years. He headlines “A” rooms all over North America like Zanies, Hilarities, the Absolutes in Canada, the Comedy Works, and Wiseguys. He’s worked regularly for four cruise lines, and is a favorite at casinos like the Borgata, Tropicana, MGM, Mohegan Sun, and Turning Stone. Check him out further at joebronzi.com. Joe will be hosting the contest as Baltimore Comic-Con cosplay participants compete for fabulous cash and prizes! Each winner will also receive free admittance to the Baltimore Comic-Con in 2014! Register to join the contest at booth #2805! Adult Categories have a $5 entry fee per person and, as always, kids up to age 17 can enter the costume contest for free! 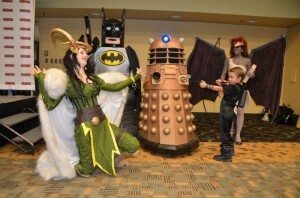 Please join us Sunday, September 8th at 1:00pm as StylinOnline.com proudly presents the annual Baltimore Comic-Con Costume Contest!! “Stylinonline.com is a great friend to Baltimore Comic Con and a perfect fit to sponsor our Costume Contest!” said Marc Nathan, Baltimore Comic-Con promoter. Stylinonline.com is the Premier Pop Culture Clothing Superstore on the web. With such a great selection, it is easy to pick something out to show your true passion from super-heroes, TV, or the latest movies on a t-shirt, hat, hoodie, or even a singing Soft Kitty! 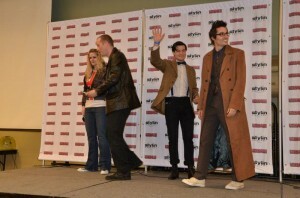 So stop by and see Stylinonline.com’s Tower of T-shirts at the Baltimore Comic-Con or online anytime and come help them support all of the Costume Contest winners! Our previously announced guests include: Josh Adams (Doctor Who); Neal Adams (First X-Men); Mark Bagley (Fantastic Four); Art Baltazar (Aw Yeah Comics!, Tiny Titans); Brian Bolland (Dial H); Harold Buchholz (Archie Comics); Mark Buckingham (Fables); Sal Buscema (Amazing Spider-Man); Frank Cammuso (Knights of the Lunch Table, Otto’s Orange Day); Jimmy Cheung (Avengers vs. X-Men); Frank Cho (Savage Wolverine); Steve Conley (Bloop); Amanda Conner (Before Watchmen: Silk Spectre); Jamie and Tyler Cosley (Cody the Cavalier, Ninja Squirrel); J.M. DeMatteis (Phantom Stranger); David Finch (Justice League of America); Franco (Aw Yeah Comics!, Tiny Titans); John Gallagher (Buzzboy, Roboy Red); Zack Giallongo (Broxo); Chris Giarrusso (G-Man); Keith Giffen (Masters of the Universe); Jimmy Gownley (Amelia Rules!, The Dumbest Idea Ever! ); Joe Hill (Locke and Key); Jason Horn (Ninjasaur); Adam Hughes (Before Watchmen: Dr. Manhattan); Denis Kitchen (The Oddly Compelling Art of Denis Kitchen); Barry Kitson (Empire); Roger Langridge (Popeye); Paul Levitz (World’s Finest); Kevin Maguire (World’s Finest); Mike Maihack (Cleopatra in Space); Mark Mariano (Happyloo); Billy Martin (Vitriol, the Hunter); Dave McDonald (Hamster Sam); Mark McKenna (Star Wars, Banana Tail); Jason Mewes (Jay and Silent Bob’s Super Groovy Cartoon Movie); Mike Mignola (Hellboy In Hell); Jamar Nicholas (Leon: Protector of the Playground); Chris O>Matic (The Chris O>Matic Show! ); Jimmy Palmiotti (Batwing); Dan Parent (Archie, Veronica, Kevin Keller); George Perez (World’s Finest); David Petersen (Mouse Guard); Joe Prado (Earth 2); Ivan Reis (Aquaman); Dave Roman – Saturday only (Astronaut Academy, Teen Boat); Chris Samnee (Daredevil); Jeff Schultz (Archie, Jughead); Louise Simonson (X-Factor); Walt Simonson (The Mighty Thor); Kevin Smith (Batman: The Widening Gyre); Allison Sohn (sketch card artist); Frank Stack (My Cancer Year); Bobby Timony (Night Owls, Detectobot); Mark Waid (Indestructible Hulk), Bill Willingham (Fables); and Thom Zahler (My Little Pony). . 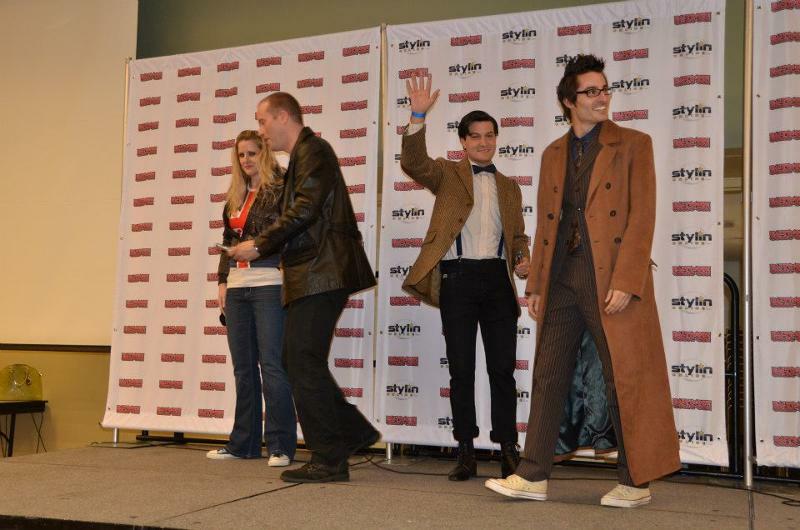 This year’s Baltimore Comic-Con will be held September 7-8, 2013. Convention hours are Saturday 10 AM to 7 PM and Sunday 10 AM to 5 PM. The ceremony and banquet for the Harvey Awards will be held Saturday night, September 7th. Please take a moment to help us spread this message using the social media links embedded, reposting, or retweeting!